Jvone Milano UV/LED System Coloured Gel is characterised by an amazing shine, long-lasting application and perfect coverage. The line ensures an ultra-bright and compact result, defined by unique density and compactness, thanks to high pigmentation that allows quick and even application, without residue to be cleaned. Application on extension (tip or form): after applying the nail extension with a tip or form, clean the excess, file and shape. Apply a thin coat of Coloured Gel: cure 4 minutes with U.V. light and 2 minutes with LED. Apply a second coat and cure for 4 minutes in both cases. Remove excess gel with Jvone Nail Polish Remover. Proceed with sealing. 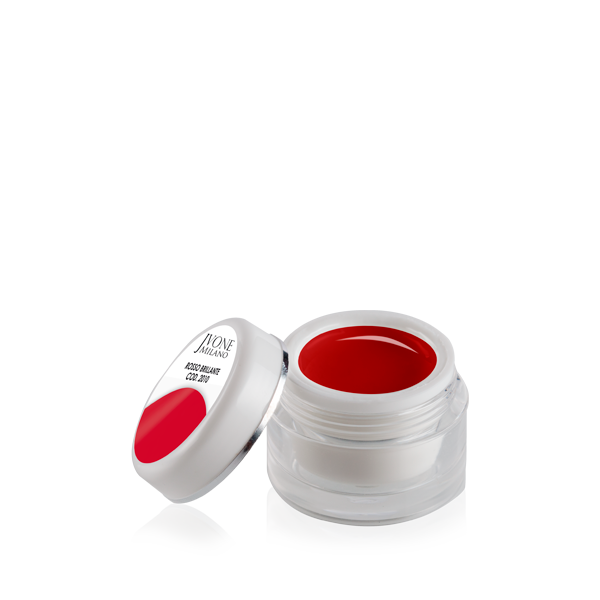 Application as permanent nail polish: after applying a thin layer of base or restorative gel to protect the nail when filing. Apply a thin coat of Coloured Gel: cure 4 minutes with U.V. light and 2 minutes with LED. Apply a second coat and cure for 4 minutes in both cases. Remove excess gel with Jvone Acetone-Free Nail Polish Remover. Proceed with sealing. Do not use directly on the natural nail, on brittle, thin, inflamed nails or nails with fungal infections.